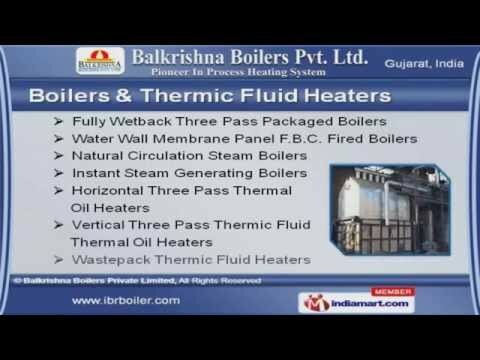 Welcome to Balkrishna Boilers Private Limited. 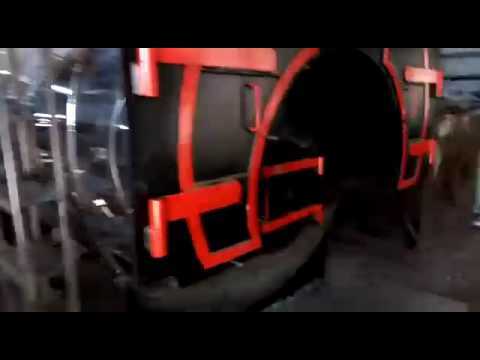 Manufacturer & Exporter of Process Heating Equipments Established in 1982, at Ahmedabad, we are an ISO 9001:2008, I. B. R. & NABCBcertified company. Experienced R&D department help us to Cater Indian Subcontinent, East Asia & Europe. Chamak Polymers Pvt. Ltd. , Polycab Wires Pvt. Ltd. & Shree Ram Gomes PrivateLimited are some of our prestigious clients and we are backed by International qualitystandards. We offer a huge gamut of Hot Water, Steam Boilers & Water Treatment Plants. Our Boilers & Thermic Fluid Heaters are available at industry leading prices. Hot Air Generators & Air Pollution Control Equipments offered by us are widelyacclaimed in the market. Our Hot Water & Steam Boilers are well known for their durability. We also provide Water Treatment Plants, Boiler & Steam Accessories that are wellknown for their durability. Along with that we offer a qualitative range of Industrial Furnaces, High PressureVessels & Autoclaves.